If you want to build a good, mobile-friendly and responsive website quickly, you’ll need to choose a platform. 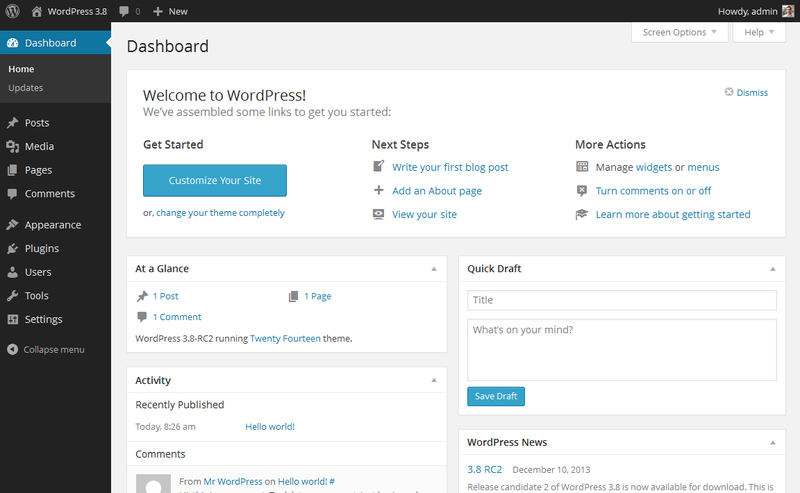 I want to tell about that how to install WordPress and how to create a website. A few years ago most websites were made using HTML (code), CSS and even Flash. These took a lot of time to learn and know. The teacher was tricky to teach about the coding, CSS, and flash. That’s why most people still think of creating a website in an easy way. Everybody used the WordPress and create a website in easy. In recent statistics made by WordPress tutorials w3schools, WordPress is the most popular content management system (55%) followed by Joomla (20%) and Drupal (11%). Using WordPress to build your website For the beginners. It’s the easiest platform I’ve ever worked with, but it’s useful enough to suit everyone from small business owners and freelancers to creative artists and bloggers. It’s also secure, your site will be mobile friendly and responsive. Few people creating a website for your business purpose. You have purchased the domain from this sites. Upper site is provided the hosting. You open this site and purchase the hosting. After purchasing the domain and hosting you connect it. To get receive the cpanel. After login username and password in cpanel. You show on these platforms, whereby install the WordPress. Under this video related the best way to learn WordPress step by step. If you install WordPress on your website. You see that interface.website is ready. If you want to change the website do it. If you’re not sure how to type in: https://yoursite.com/wp-admin (replace “yoursite” with your domain). Once you’re on the dashboard, you’ve got access to over 1500 free themes! Just search the sidebar for “Appearance”, then click “Themes”.If you want something more professional or elegant than what you find here, you can head over to ThemeForest.net where you are select the different themes. But before you do that, I really suggest you at least try spending some time browsing the free themes. Many of them are actually really professional and few them is very costly. you remember that comfortable them use on this site. As you can see side, installing a new theme for your website is very easy. You can search for specific keywords and/or use filters to find themes that suit your style. Finding the perfect theme can take a while, but it’s worth it. You should also look for themes that are “responsive”, as this means they will look good on any mobile device. 1. Look along the sidebar in the WordPress Dashboard for Pages click it “Add New”. 5. Find the page you created and add it to the list by clicking the checkbox next to it and then “Add to Menu”. If you have a blog on your website, Posts will be where you turn to next. You can use different categories to group similar posts. If you want to add a blog to your website, you can use different categories and posts. 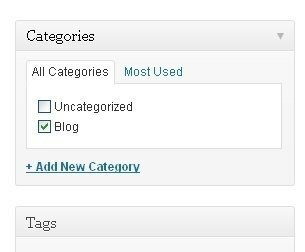 Let’s say you want to create a category named Blog. Simply add it to your menu and start making posts.